Thursday 9th May 2019 / 11am - 5.30pm . New for 2019, we've joined forces with Balance, the go-to for inspiration on how to live well, to create the ReBalance Room - a space dedicated to discovering the art of wellbeing. Advance booking is strongly recommended for our daily, expert-led yoga and breathwork sessions as capacity will be limited. with Hannah Barrett 10 - 10.30am Discounted fair entry included in session ticket price. with Breathwork Richie Bostock 2 - 2.30pm Discounted fair entry included in session ticket price. Open from 11.00am - 5.30pm. Yoga and Breathwork: These sessions will take place in our ReBalance Room inside the fair entrance. Please allow time to change or come ready to relax in something soft and stretchy that allows free movement. All mats and other props will be provided but you're welcome to bring your own mat if you prefer. There is storage for personal belongings inside the ReBalance Room. Classes will last approx. 30 minutes, after which you can enjoy the rest of the fair at your leisure, including healthy food and drinks in the cafe. The Affordable Art Fair returns to Battersea Park, 7 - 10 March, to bring you 1000s of original, contemporary artworks from an array of UK and international galleries, all priced between £100 and £6,000 and ready to bring your home to life! 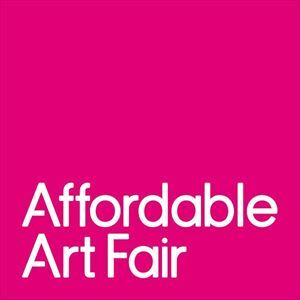 The Affordable Art Fair returns to Hampstead Heath, 9 - 12 May, to bring you 1000s of original, contemporary artworks from an array of UK and international galleries, all priced between £100 and £6,000 and ready to bring your home to life!